The British Academy of Film and Television Arts (BAFTA) is calling for entries for the 2019 BAFTA Young Game Designers (YGD). The annual competition aims to inspire the UK’s game-makers of the future, by giving young people the chance to design and make their own game. Entries are now open at http://ygd.bafta.org/ until Wednesday 13 March 2019. Previous winners of the BAFTA YGD competition have gone on to receive accolades throughout the games industry. Dan Pearce, a winner in 2010, was named a BAFTA Breakthrough Brit in 2013, and his game, Castles in the Sky, earned him a BAFTA nomination for Debut Game in 2014. Earlier this year, winners also showcased their creations at EGX Rezzed, London’s largest games event, including 2016 winner Daniel Smith, whose game was picked up by Ripstone Games and has since been released commercially, 2017 winner Emily Mitchell, who is currently working with a games publisher to release her game commercially and 2017 winner Spruce Campbell, who self-published his game on the App Store. The British Academy of Film and Television Arts (BAFTA) will bring together aspiring creatives and leading film, games and television professionals at its flagship careers festival, Guru Live, in London on Saturday 15 and Sunday 16 September 2018. The annual event, which is now in its third year, will take place at BAFTA’s headquarters, 195 Piccadilly in London, and follows successful editions in Glasgow and Cardiff in April. Guru Live is an extension of BAFTA Guru Guru.bafta.org, BAFTA’s online resource that shares advice and inspiration from the best creative minds working in film, games and television. Professionals from across these industries, including BAFTA winners and nominees, will present industry-specific masterclasses, Q&As and panel discussions, as well as cross-sector skills-based sessions aimed at aspiring creatives taking their first steps in their careers. Highlights of the programme, confirmed to date, include masterclasses with director Luca Guadagnino (Call Me By Your Name, A Bigger Splash) the production team behind the BAFTA-winning Love Island, BAFTA-winning This Country’s creative team and co-writer and star Charlie Cooper and the team behind multi BAFTA-winning game Hellblade. These and further sessions throughout the weekend will focus on the essential skills required for anyone interested in pursuing a career in film, games and television from pitching through to producing with invaluable advice for every stage. Tickets for all individual sessions are priced at £6 (or 2 for £10). BAFTA is also offering the opportunity for individuals who have already started in the industry to apply for a Guru Live Access Pass and a bespoke programme of one-to-one meetings and career development sessions. For details of confirmed sessions and to book tickets go to:Guru Live London. To apply for the Guru Live Access Pass go to: Guru Live London Access Pass. Guru Live is funded by generous individuals and brand partners including: EE (official partner to Guru Live); Filmstro (session supporter); Harman (official craft partner); PlayFusion (official games partner); Sara Putt Associates (session supporter); Searchlight (session supporter); Shutterstock (co-host of opening party). BAFTA has announced the winners of tonight’s British Academy Games Awards, which celebrated the very best in games of the past year. The ceremony was hosted by Danny Wallace at Tobacco Dock, London. Uncharted 4, the action adventure game developed by Naughty Dog Studios, won Best Game. This is the fifth win for the series, its previous four came in 2010 for Uncharted 2: Among Thieves. INSIDE, the puzzle-platformer adventure game, won four BAFTAs: Artistic Achievement, Game Design, Narrative and Original Property. Overcooked, the cooking simulation game, won British Game and Family. Firewatch, the first-person mystery adventure game, won Debut Game and Performer for Cissy Jones. Another six games were winners on the night. The autobiographical game That Dragon, Cancer won for Game Innovation. Futuristic sports-action game Rocket League won Evolving Game. The team-based multiplayer first-person shooter Overwatch won the BAFTA for Multiplayer. Pokémon Go, the location based augmented reality game, won in Mobile Game. The Last Guardian, the action-adventure game, won the BAFTA for Audio Achievement. The mystery adventure game Virginia won in Music. The AMD eSports Audience Award was won by Clash Royale, seeing off competition from Counter-Strike: Global Offensive, Dota 2, League of Legends, Overwatch and Street Fighter V.
Showcasing the best in games development and design talent, the BAFTA Ones to Watch Award in association with Dare to be Digital was won by Among The Stones, a 3D platform game created by a team of student developers from Abertay University. The Special Award was presented to Brenda Romero in recognition of her outstanding creative contribution to the industry and for her illustrious career in game design, her advocacy for the art and creative process behind game-making, and her commitment to encouraging the next generation of talent in the industry. BAFTA’s website, www.bafta.org , features red carpet highlights, photography and winners’ interviews, and dedicated coverage is available on social networks including Facebook (/BAFTA), Twitter (@BAFTAGames / #BAFTAGames), and Tumblr. The ceremony was streamed live at Twitch.tv. The British Academy Games Awards are supported by industry partners Electronic Arts, GAME, SEGA, Tencent Games and Ubisoft Entertainment with ME London Hotel the official hotel partner. BAFTA curates a year-round global programme of events and initiatives that support the games industry. This includes developer talks, showcases, debates, scholarships and networking, as well as the flagship Games Lecture by an inspirational practitioner. Applications are now open for: BAFTA Young Game Designers (YGD), which gives young people and educators insights into the industry and access to the brightest creative minds in games; BAFTA Scholarships, which enable talented individuals to study a post-graduate course in games; and BAFTA Breakthrough Brits, which supports emerging stars of the games industry. The British Academy of Film and Television Arts (BAFTA) today announced a brand new three-day festival that will give aspiring creatives the opportunity to meet and learn from leading names in the film, television and games industries. BAFTA’s Guru Live will run from Saturday 30 April to Monday 2 May at BAFTA 195 Piccadilly in London, and will feature masterclasses, panels and keynote talks by professionals including BAFTA winners and nominees. Tickets for individual sessions will cost £6, and professionals with at least six months’ experience will have the chance to purchase one of 150 all-access ‘Guru Pro’ tickets to the event, which include a day of bespoke one-to-one meetings and round tables with top industry speakers. Guru Live is an extension of BAFTA Guru (www.bafta.org/guru ), BAFTA’s online resource that shares advice and inspiration from the best creative minds working in film, television and games. Each day will focus on a different one of the three industries that BAFTA represents, and will comprise: a ‘Creative Keynote’ talk from a highly acclaimed figure; sessions covering specific craft skills and areas such as finance and distribution; case studies showcasing recent success stories; examples of cross-sector working; and networking events. Speakers confirmed to attend include: games producer Dan Gray (Monument Valley); film producer Mark Herbert (This Is England, Submarine); games writer Meg Jayanth (80 Days); talent agent for film and television Sara Putt; and games creators Luke Whittaker and Katherine Bidwell (Lumino City). Tim Hunter, Director of Learning and New Talent at BAFTA, said: “Guru Live brings our successful BAFTA Guru online channel to life, giving emerging talent the chance to learn first-hand from some of the leading figures in the moving image industries. Film, television and games can be among the hardest industries to break in to, so this opportunity to meet and engage with BAFTA members, nominees and winners is a brilliant way to help break down the barriers new talent may be facing. Guru Live also offers a chance for attendees to network with peers at a similar level, which is essential for career starters. Applications for Guru Pro tickets, which cost £40, are open now at http://guru.bafta.org/live/pros and close on Wednesday 23 March. Bursaries will be available to support expenses. General admission tickets are priced at £6 per session and open for bookings on Monday 29 February. To book, go to: http://guru.bafta.org/live. Guru Live has received funding from generous individuals and BAFTA partners supporting ‘Give Something Back’ – BAFTA’s campaign to support emerging talent from all backgrounds to enter the film, television and games industries. Highlights from the event will be available on the BAFTA Guru website: www.bafta.org/guru . Where Are All The Milennials? The British Academy of Film and Television Arts has today announced the call for entries for the British Academy Games Awards in 2016. The prestigious annual ceremony recognises and rewards the very best in games of the past year. Ensuring entry to the Awards remains accessible to all, developers and publishers may submit one free entry in the month of the game’s UK release. Games must have a release date between 1 January and 31 December 2015. The entry deadline is 9 December 2015. The British Academy Games Awards will again be held at Tobacco Dock in 2016 where industry guests will enjoy a number of changes to the format of the evening, including the return to a more formal, sit-down dinner. Information on tickets will be announced at a later date. The British Academy of Film and Television Arts (BAFTA) has opened applications for BAFTA Breakthrough Brits, in partnership with Burberry. This annual initiative celebrates and supports the UK’s future stars of film, television and games. To mark this year’s launch, BAFTA and Oscar-nominated director Christopher Nolan spoke to previous Breakthrough Brits and other BAFTA-supported new talent at BAFTA 195 Piccadilly. During the event Nolan discussed his own breakthrough moments, and gave insights into his creative process. Applications are open at http://bit.ly/Breakthrough-Brits until midday on Wednesday 27 May. 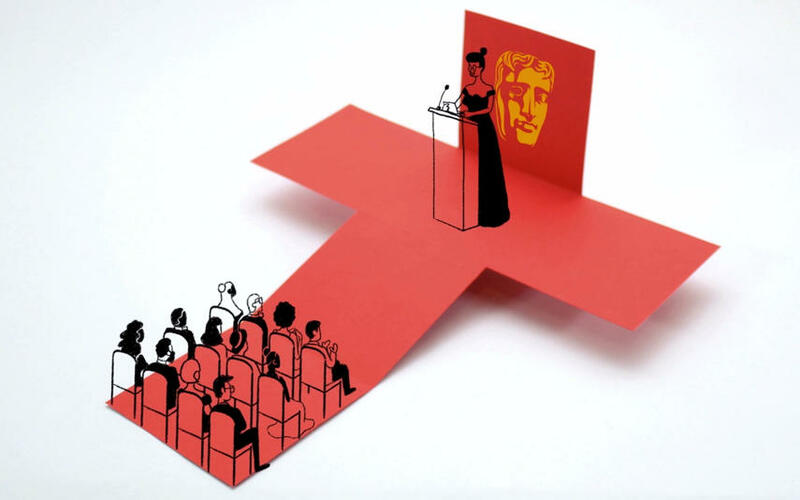 A panel of film, television and games professionals will select up to 20 Breakthrough Brits for 2015, who will each receive a bespoke programme of career development support, including mentoring, guidance sessions and networking opportunities, as well as non-voting membership of BAFTA for a year. The selected Breakthrough Brits will be revealed at a reception at the Burberry global flagship, 121 Regent Street, later this year. ‘Friends of BAFTA Breakthrough Brits’, supporters of the initiative, include director Paul Greengrass, actors Douglas Booth, Blake Harrison, Miranda Hart, Toby Jones, Simon Pegg, and Sheridan Smith, presenters Edith Bowman and Emma Freud, and games industry entrepreneurs Ian Livingstone CBE and Fiona Sperry. 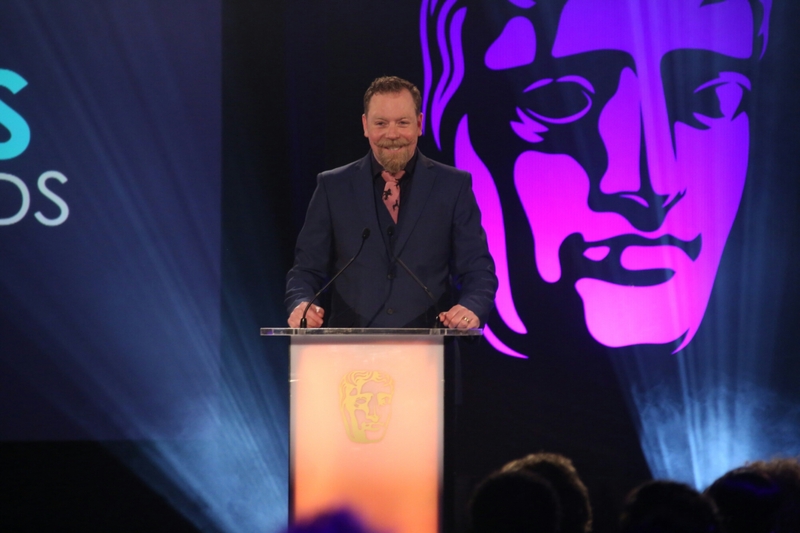 Since the launch of the initiative in 2013, three Breakthrough Brits have become BAFTA winners: games producer Daniel Gray and game designer Rex Crowle (as part of the development teams for Monument Valley and Tearaway respectively), and writer Dominic Mitchell (In The Flesh). Two other 2014 honourees, writer Chris Lunt and producer Marc Williamson, are nominated in the Breakthrough Talent category at the British Academy Television Craft Awards, which takes place on Sunday 26 April. Individuals can apply to be a BAFTA Breakthrough Brit at http://bit.ly/Breakthrough-Brits. Industry professionals can nominate someone by contacting breakthrough@bafta.org ; BAFTA will then contact the nominated individual to invite them to submit an application before the Wednesday 27 May deadline. Proposed candidates for BAFTA Breakthrough Brits must be UK nationals at the start of their career who are making a name for themselves as a performer or in a craft specialism within film, television or games, and have a credit on at least one production with a theatrical release, broadcast or publication in the UK between August 2014 and August 2015. 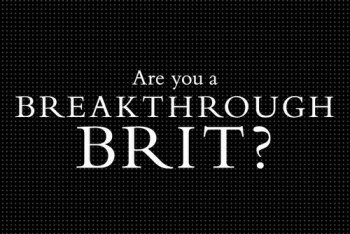 For the full entry criteria go to: http://bit.ly/Breakthrough-Brits. The British Academy of Film and Television Arts (BAFTA) has announced the winners of yesterdays British Academy Games Awards, which celebrated the very best in games of the past year. The ceremony was hosted by Rufus Hound at Tobacco Dock, London E1, where presenters included Rob Beckett, Alex Brooker, Linford Christie OBE, Dynamo, Ian Livingstone CBE, Tim Schafer, Chet Faliszek. Destiny – the online first-person shooter in which players work together to protect the last safe city on Earth from aliens – won Best Game. This is the fourth win for US games studio Bungie, whose previous wins have all been for games in the popular Halo series. Monument Valley, the puzzle adventure game, took home two BAFTAs: British Game and Mobile &; Handheld. 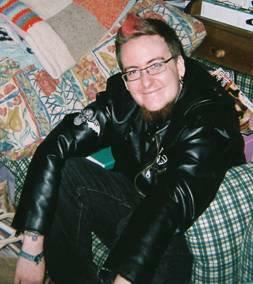 Daniel Gray, a BAFTA Breakthrough Brit, collected his first BAFTA for his work on the game. The Last of Us: Left Behind, an additional chapter to the BAFTA-winning The Last of Us, won for Story and Performer, making it the second consecutive year in which Ashley Johnson has won a BAFTA for her role as Ellie. Lumino City, a puzzle adventure game handmade in card and paper, won in the Artistic Achievement category, while Alien: Isolation, the first-person survival horror game, collected the BAFTA for Audio Achievement. Far Cry 4 collected the award for Music, the second win for the series after Far Cry 3 won for Action in 2013. Skateboarding game OlliOlli fought off strong competition to win the BAFTA for Sport, while League of Legends, a leading title in the burgeoning field of eSports, picked up the award for Persistent Game. Never Alone (Kisima Ingitchuna), an atmospheric platformer that explores the vibrant world of Alaska Native cultures, won Debut Game. Minecraft: Console Editions collected the award for Family. Game Design was awarded to Middle-Earth: Shadow of Mordor, a dynamic action game set within Tolkien’s universe. The BAFTA for Game Innovation was presented to The Vanishing of Ethan Carter, the story-driven detective mystery. Valiant Hearts, an animated story inspired by letters sent during the first world war, won the BAFTA for Original Property. Hearthstone: Heroes of Warcraft, an intricately designed card-battling game, collected the award for Multiplayer. Showcasing the best in young games development and design talent, Chambara, a game created by a team of student developers from the US, won the BAFTA Ones to Watch Award in association with Dare to be Digital. The Fellowship was presented to David Braben OBE for his outstanding and exceptional creative contribution to the games industry. The ceremony was streamed live online at Twitch.tv. BAFTA’s website, http://www.bafta.org , features red carpet highlights, photography and winners’ interviews, as well as dedicated coverage on its social networks including Facebook (/BAFTA), Twitter (@BAFTAGames / #BAFTAGames), and Tumblr. BAFTA has a year-round programme of events and initiatives that support the games industry. It includes developer talks, games showcases, debates, scholarships and networking, as well as the flagship Games Lecture by an inspirational practitioner. BAFTA Young Game Designers (YGD) gives young people and educators unique insights into the games industry and access to the creative minds behind some of their favourite games.